Steven (Joshua Ormond) is a young boy who's sent to live with his grandmother (Academy Award winner Cloris Leachman) and grandfather in the country while his mother (Tara Reid) and father work through their marital troubles. Though his grandparents warn him to stay away from the corn stalks near their house, Steven can't help but be drawn into the fields. At the same time, news reports of the murderous Manson Family horrify the nation. Then, strange things start happening: noises come from the fields at night and the family dogs disappear. Gradually, the happenings turn more horrifying, and Steven soon finds himself in the midst of a real life nightmare. While Betty White gets all the attention, she’s not the only elderly Mary Tyler Moore Show alum who continues to work actively. Leachman does a regular part on the Raising Hope TV series and shows up elsewhere, such as one of the leads in 2011’s The Fields. Set in 1973, we meet young Steven (Joshua Ormond), a boy whose parents Barry (Faust Checo) and Bonnie (Tara Reid) bicker and get violent with each other. To attempt to sort out their troubled marriage, Barry and Bonnie go away and leave Steven with his grandpa Hiney (Bev Appleton) and his grandma Gladys (Leachman). Gladys gives Steven one main instruction: stay out of the cornfields near their home. He ignores this direction and gets into trouble, especially when he claims to see a dead woman out there. Nonetheless, Steven eventually finds himself drawn to the fields again, where potential drama awaits. In theory, at least. Fields comes with a split personality. On one hand, its advertising sells it as a horror film, and plenty of its elements lead one to think those behind it attempted to make a horror film. It comes with that kind of visuals, music and tension. But its story doesn’t fit the genre, as it’s really more about a kids-eye view of the world and how a little boy interprets various events; these veer creepy due to his mindset more than reality. And if you watch the Blu-ray’s extras, you’ll hear the filmmakers relentlessly tell us that they didn’t make a horror movie. Which leaves Fields as a confusing, muddled experience. Personally, I’m in the “if it quacks like a duck…” category here. For all of the reasons Fields doesn’t play like a horror movie, it comes with plenty more reasons it does. Whatever exceptions one can make, there’s too much “horror-ish” about it to view it as a substantial departure from that genre. And it’s not a very good entry into the category. In my opinion, horror movies work best when they come from a subtle point of view. Start slowly and build tension/scares from there. If a flick launches with the amp set to 11, there’s nowhere to go, so any potential drama loses impact. That becomes a notable problem during the over the top Fields. From the opening credits, we’re given heavy-handed horror music and atmosphere. I guess the filmmakers hope that we’ll get set on edge, but that doesn’t occur; instead, we just feel battered by awkward cinematic techniques before we’ve even met any of the characters. Matters don’t improve as they progress, though I will admit Fields comes with an interesting conceit. Throughout the film, it varies between Steven’s point of view and a more objective representation of characters and events. This can be disconcerting at first, but it’s actually fairly clever. It can keep us off-guard and forces us to more actively consider what’s real and what’s exaggerated due to Steven’s childhood interpretation. Unfortunately, the movie doesn’t exploit this technique especially well. Again, the story is usually treated as over-the-top horror, so we’re left without much room for interpretation. Everything seems big and we find very little subtlety. While the film scores points for its subjective viewpoint, it loses these because it fails to make its technique particularly clear or insightful. Instead, we just get a loud, pushy semi-horror flick without anything convincing or involving. The movie suffers from weird, clunky pacing, and that means it feels utterly aimless and random. Again, some of this may have been intentional to reflect the scattered mindset of a little boy, but the film doesn’t spell out that conceit well enough to work. We’re left with a tale that’s simply mushy and illogical. Don’t expect much from the cast. Ormond is pancake flat as the lead, and none of the others offer much. I think it’s cool to see Leachman, but she’s just the stereotypical crotchety old lady here, so she doesn’t manage to add any depth to the one-note part. At least that’s better than Reid, who looks like she’s not particularly sure where she is at any time. The Fields ends up as a weird experience. Based loosely on the screenwriter’s childhood, it gives off a heavy horror vibe all while it protests that it’s not meant to fall into that genre. It pesters us to feel scared but delivers no real payoff or drama. 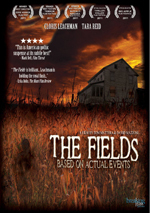 The Fields appears in an aspect ratio of approximately 1.78:1 on this Blu-ray Disc. Shot on high-def video, much of the flick looked fine, but a few issues affected my grade. For the most part, sharpness satisfied. Occasional shots tended to be a bit iffy, but the majority of the flick demonstrated reasonable delineation and clarity. I noticed no shimmering, jaggies or edge enhancement. The image remained clean and lacked any source defects. Colors were subdued. The movie preferred a sepia feel and lacked many instances of vibrant hues, though the tones seemed fine for what they attempted. Blacks were dark and tight, but shadows tended to be inconsistent; low-light shots could be somewhat dull. Overall, this was an acceptable presentation. Similar thoughts greeted the DTS-HD MA 5.1 soundtrack of Fields, as it offered a decent but not great auditory experience. Sound quality was always good, at least. Music worked the best, as the score and songs demonstrated nice range and depth. Effects didn’t play a major role, but they seemed acceptably clear and accurate, while speech was distinctive and natural. The soundscape lacked much to impress. Music dominated, as creepy score came from all around the spectrum. Effects had less to do, as they tended to stay in the realm of general environment. Some isolated info from the side and rear speakers occurred, but these elements remained minor; the majority of the track focused on basic ambience. Which was fine, as I didn't expect – or want – more than that from a flick of this sort. A smattering of extras rounds out the disc. The Making of The Fields goes for 18 minutes, 41 seconds and offers comments from screenwriter/producer Harrison Smith, directors/producers Tom Mattera and Dave Mazzoni, actor/producer Faust Checo, director of photography Daniel Watchulonis, composer/mixer John Avarese, and actors Joshua Ormond and Cloris Leachman. The show looks at the story’s roots and story/character topics, the work of the co-directors, sets/locations and period details, cinematography and perspective, cast and performances, music and sound design. This acts as a serviceable behind the scenes program; though it comes with plenty of the standard happy talk, it delivers enough useful information to be worth a look. 14 segments pop up under Real Stories and Faces Behind the Film. These run between one minute, one second and three minutes, 24 seconds for a total of 32 minutes, 56 seconds of material. They feature Gladys and Hiney’s son Harrison Kline, Jr. and grandson Scott C. Smith, and actor Brian Anthony Williams. These clips cover general topics like real-life inspirations for the film’s story and characters, cast and performances, locations and working with animals, sound design and music, and the screenwriter’s childhood filmmaking experiences. “Stories” delivers a disjointed but often interesting take on its topics. We get a reasonable amount of good thoughts related to the flick’s background and history. I wish these got packaged into something more coherent – or at least gave us a “Play All” function – but they still add up to a nice package. With the three-minute, 24-second Hey, No Funny Stuff, we get a blooper reel. It provides a collection of silliness and goofs typical for the format, though in an unusual move, some of the pieces come from crew interviews. Despite that novel approach, the compilation lacks much entertainment value. Ladies and Gentlemen, Cloris Leachman! runs one minute, 34 seconds. It shows more outtakes, as we get screw-ups from a videotaped intro Leachman created for the film’s premiere. We also get the final product and a two-minute, 10-second blooper reel that focuses on Leachman, though some others pop up as well. These are mildly interesting at best. A 50-shot Photo Gallery can be viewed as a running montage or individually via chapter search. This gives us a mix of shots from the set; these are decent, but they’d be more useful if they identified the crewmembers we see. In addition to the film’s Trailer, we get Previews for 5 Star Day, Almost Kings, and You’ll Know My Name. With The Fields, we get a mess of a movie. It purports to be a slice of childhood life but pours on horror techniques to create a disjointed, illogical story without much drama or intrigue. 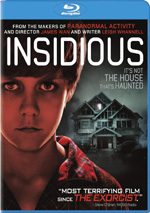 The Blu-ray offers acceptable picture, audio and bonus features. There’s not much here to recommend in this frustrating film.